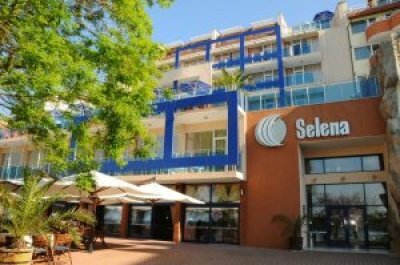 The three-star hotel Selena in Sozopol sea resort offers wonderful views to the sea and to the old town part of Sozopol. It has a restaurant with a terrace and an outdoor swimming pool with sun beds. The rooms and the studios in Selena hotel are equipped with free wired internet connection. All units have cable TV, a minibar, air-conditioners and a balcony, some are with sea views.